Fight back against free radicals and supercharge your health. 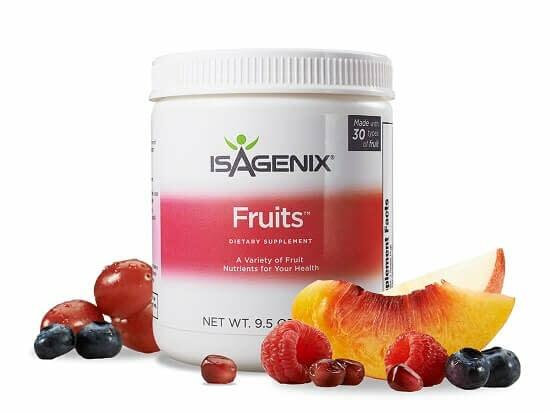 Isagenix Fruits is an incredible superfruit blend, containing dozens of nutrient-dense fruit extracts. With 1g of sugar per serving, and the health benefits of berries and tropical fruits, Isagenix Fruits is perfect for the whole family. Formerly IsaFruits. Cold-pressed to retain the highest possible nutrient content, just add water for a healthy alternative to sugary soda. Cold-pressing the fruits in Isagenix Fruits means more nutrients for you to take advantage of. Heating fruits can sometimes destroy some of their valuable vitamins. Each serving contains 1g sugar and 25 calories, making this drink a healthy alternative to soda. Berry extracts help to flush potentially harmful free radicals out of your body and away from cells. Sugary sodas are a health nightmare. Replace them the delicious way with this outstanding tonic. Isa Fruits contains extracts from over 30 different fruits, from berries, to tropical pineapples. This product is currently not available in Australia. Sugar-filled soda is really, really bad for you, and whilst a diet rich in fruits and vegetables is important, eating tons of fruit every day can be expensive and a little rough on your blood glucose levels. Isagenix Fruits takes only the best parts of selected fruits, and distills them into a powerful, superfruit tonic. Jam-packed with more than 30 fruit extracts, from papayas to peaches, this glorious mix could help to supercharge your health. From vitamins A and C for a boosted immune system, to essential minerals and increased metabolic health thanks to B vitamins, Isagenix Fruits is a comprehensive supplement drink for a busy lifestyle. Modern life is fast-paced, and the daily grind can strip you of some incredibly important nutrients. This potent antioxidant mix, made with real fruit extracts, contains compounds which have been shown to reduce potentially harmful substances in the body. These harmful substances, known as free radicals, can build up inside of your body and do damage to cells. Your immune system plays an important role in keeping all of your systems in balance, however, supplementing with antioxidant-rich foods and tonics like Isafruits, could lend a helping hand. Work, stress, lack of regular exercise and a poor diet, are wrecking havoc on people across the country. We all know how important it is to eat a diet rich in fruits and vegetables, but time, cost and seasonality can often see you missing out, and leave your family short. Don’t get caught out. Isagenix Fruits comes in convenient, easy-to-use sachets, ideal for slipping into purses, bags and lunch boxes. Getting the nutrition you need is now so easy and delicious, you’ll never want to drink soda again. Preserving the phytonutrients in these wonderful fruits is key to making this blend so effective. All of the fruits used – that’s over 30 in total – are spray-dried, before being cold-pressed to release as many nutrients as possible. 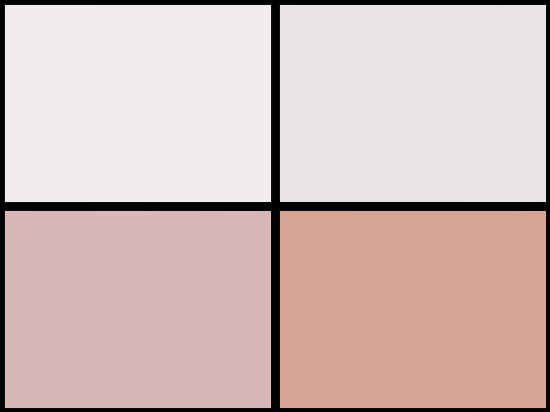 Sometimes, when fruit is heated, nutrients are lost of altered. This way, they remain available for you to use. With cold-pressing, more vitamins and antioxidants are transferred into the resulting powder, which means you get the most bang for your buck in every serving. Whole fruit is great, but too much of it can raise blood sugar levels. Isagenix Fruits contains only the best parts, and with 1g of sugar per serving, it’s the ideal alternative to soda. Even some fruit smoothies contain high levels of sugar, which for those of us with children, can be a concern. With a delicious fruity flavor and a stack of useful vitamins, replacing thick fruit juices with this hydrating mix is a great idea. Finding an all-natural blend that’s low in sugar and free of additives used to be a chore. Not anymore. Plus, with only 25 calories per serving, you can drink Isagenix Fruits every single day. Fruits, especially berries, are some of the most antioxidant-rich foods on the planet. This healthy supplement drink contains some of the best, from blueberries, to tart, mouth-watering raspberries. Compounds in some fruits have even been shown to boost brain function. It has been suggested that the flavonoids in berries such as blueberries and strawberries, may play an important role in keeping your memory sharp. This blend is packed with berry extracts, making it a great choice for protecting your brain, whatever your age. Berries, cherries and citrus galore! With absolutely no artificial flavors or additives, you can now give the whole family comprehensive, fruit-driven nutrition in a handy, healthy drink. How often should I take this product? Take one sachet per day, mixed with water. How many fruit extracts are in this blend? Isafruits contains over 30 fruit extracts. Antioxidants help to flush potentially damaging free radicals out of your system, and away from your cells. Take 1 sachets (9g) per day. Isagenix Greens: The perfect accompaniment! Enjoy the power of ‘supergreens’ everyday! Get full-on fruit power without the excess sugar and calories. Isagenix Fruits contains over 30 natural fruit extracts.